Here at Beltrante Fighting Fit we take great pride in the attention and care we give to every student and client. Whether they are here to get into great shape, learn the arts of Muay Thai or Catch Wrestling, or they aspire to become a fighter, each student receives the best in personalized attention and instruction. Muay Thai training is great for aspiring and experienced fighters alike. Get into fighting shape, while learning andd improving technique. Catch wrestling is a technique-rich art, so students will see fun and innovative moves introduced each week, while receiving intense workouts. One-on-one or Group personal training for all levels. Get into shape with a customized training program using exercises the fighters do! 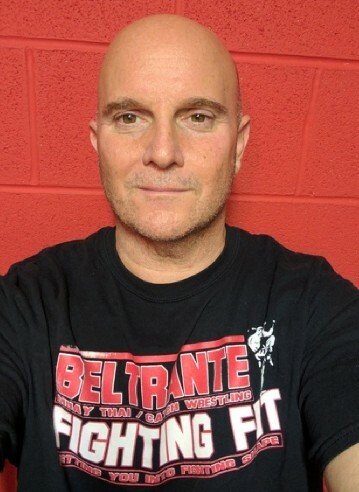 I am Christopher Beltrante, Owner / Head Trainer of Beltrante Fighting Fit. I’ve been an ACE Certified Personal Trainer since 1994. 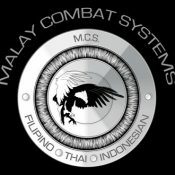 I have attained my Kru certification in Muay Thai from Guru Phil Matedne of Malay Combat Systems and I also have training in Catch Wrestling. Learn Muay Thai. Push Yourself. Get Fit. "Chris has been a fantastic trainer for me because he tailors my workouts to my needs. My goal isn't to become a trained fighter, and Chris recognizes that and plans my workouts accordingly. We work on skill and accuracy, and, more importantly for me, cardio endurance. Other days we do circuit training exercises that Chris develops based on my interests. I have been working with Chris for more than two years and I'm extremely happy with the workouts, his knowledge about the human body and training techniques, and his professionalism." "Chris Beltrante is a consummate professional who not only understands the fight game, but the intense preparation needed to get a fighter to be at peak performance levels. 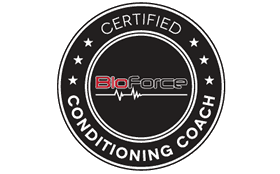 More importantly, he knows how to translate that conditioning to the everyday person who may simply just want to get in shape and/or improve their overall conditioning. I would highly recommend Coach Chris to anyone that wants to perform at optimal levels regardless of what their goals may be!" "Christopher Beltrante has been a private student of mine for over 4 years. During that time Chris has placed his energies and focus on understanding Muay Thai strategies and concepts. His dedication and commitment has allowed him to complete our M.C.S. Thai curriculum to be capable of teaching and helping others learn this powerful, majestic art. If you are looking to learn Muay Thai for fitness, self-defense or sport, I consider Chris to be knowledgeable in this art." "Chris is a highly knowledgable, patient, and motivational instructor who can be trusted to bring you to the next level, whether you're trying to advance in martial arts or improve your overall fitness. His kind and encouraging attitude promotes confidence in his students as he helps them to reach their goals. I strongly recommend Beltrante Fighting Fit to anyone who is looking for a quality trainer who genuinely cares about the success and personal growth of his clients." "I have only trained with Chris for a little over a month and I am using muscles that I didn't even know I had. He stresses form and we go over many different moves per session until my form is correct. This is the greatest workout that I ever had and I had no prior training like this in my life and was worried how I would be trained. Chris is an excellent professional and trainer and makes me feel as important as the other people he trains who have done this before. I am very happy and cannot wait until our sessions."